You have added Scale Up Gold Sequin Party Dress into shopping cart. FINAL SALE. 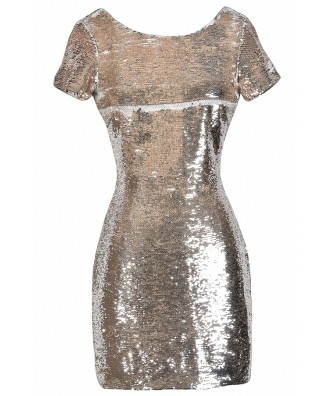 This gold sequin party dress would make a cute New Year's Eve dress! The Scale Up Gold Sequin Party Dress is fully lined and made of a heavy fabric with gold sequins throughout. The best part of this dress is that the gold sequins form a scale-like pattern and can create different designs when they are brushed a different way. This is such a fun and unique look! 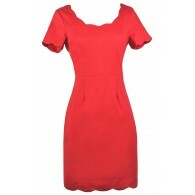 This dress features a rounded neckline, short sleeves, and a classic sheath cut. A hidden back zipper completes this dress. 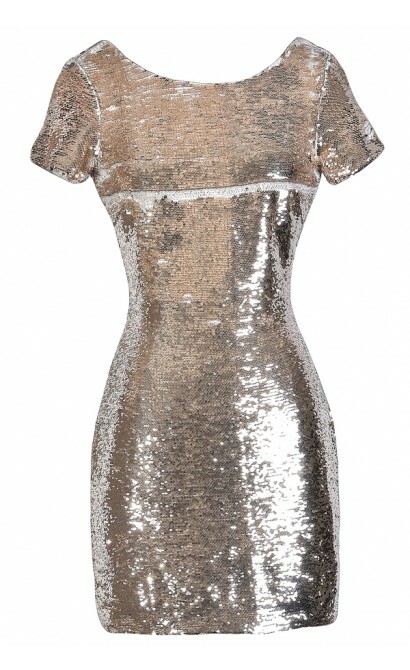 The Scale Up Gold Sequin Party Dress pairs well with gold or beige pumps or heels and an embellished clutch. 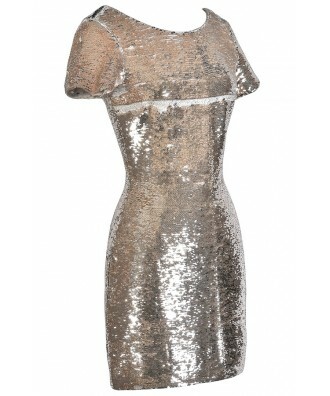 You'll stand out and shine at any event in this cute sequin party dress! Details: Fully lined. Hidden back zipper. 100% polyester. Lining: 100% polyester. Dry clean only. Small measurements: Length from top of shoulder to hemline: 33". Bust: 33". 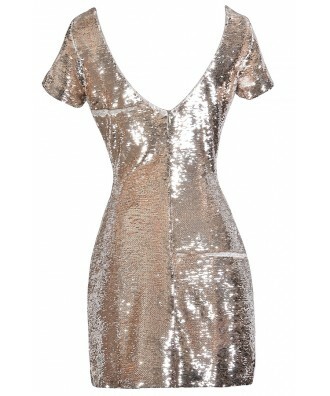 You have added Scale Up Gold Sequin Party Dress into Wishlist. You have added Scale Up Gold Sequin Party Dress for Stock Notification. You have set Scale Up Gold Sequin Party Dress as a loved product. You have removed Scale Up Gold Sequin Party Dress as a loved product.